The 42-year-old sped to victory in the saddle of VDL Groep Beauty, clocking a time of 27.82sec in the first qualifier for the Rolex Grand Prix. Last year’s Rolex Grand Prix winner Niels Bruynseels of Belgium, riding Gancia de Muze, had to settle for second place this time round in 28.18. Completing the top three was Israel’s Danielle Goldstein, riding Lizziemary, in 28.80. 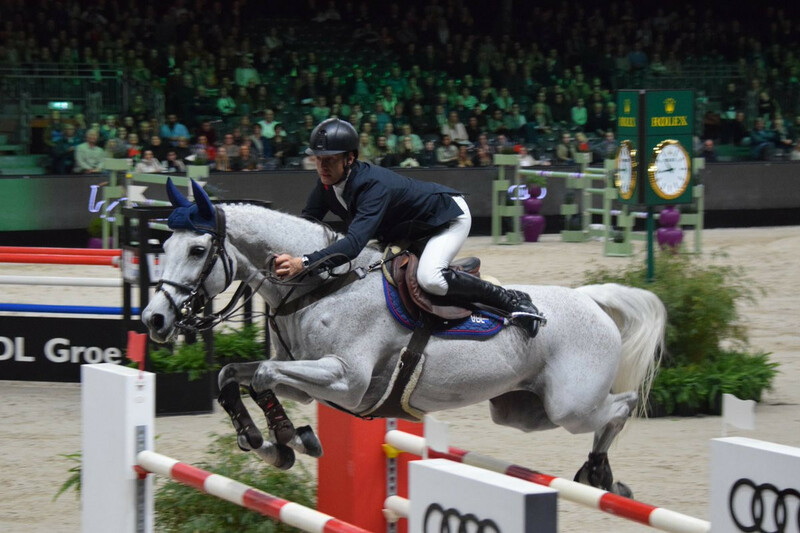 Earlier in the day, The Netherlands' Maikel van der Vleuten triumphed in the 1.45m two rounds class. The Dutchman posted a winning time of 30.64 aboard Dana Blue. Germany’s Marcus Ehning finished as the runner-up on Cristy in 31.66. Third place went to Italy’s Emanuele Gaudiano with Kingston van het Eikenhof in 31.76.